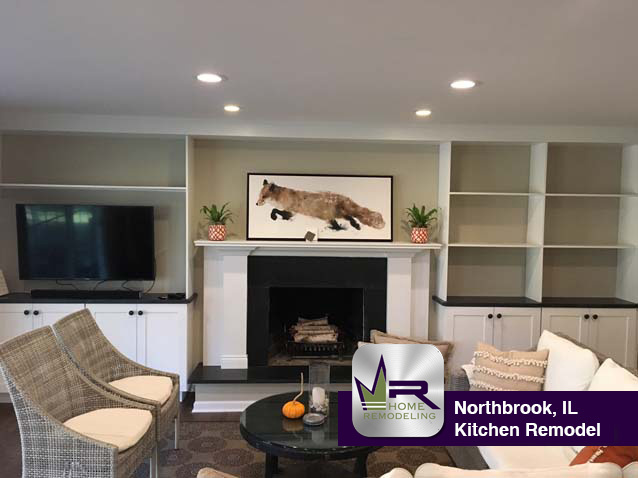 This home is located in Northbrook, IL, just 25 miles from downtown Chicago. 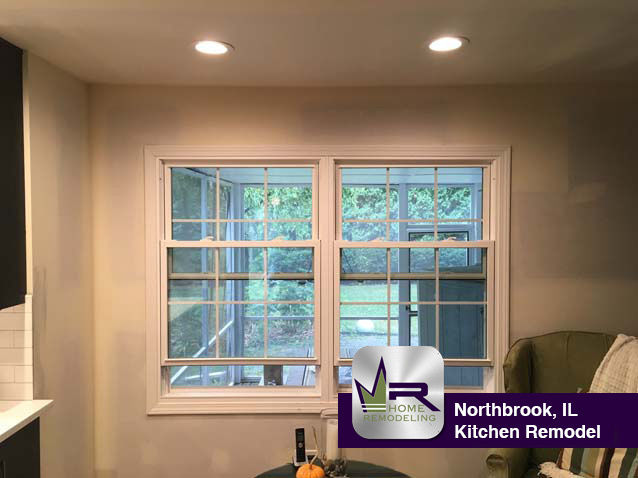 Northbrook has a median income of just under $135,000 and a population of about 33,500 people. 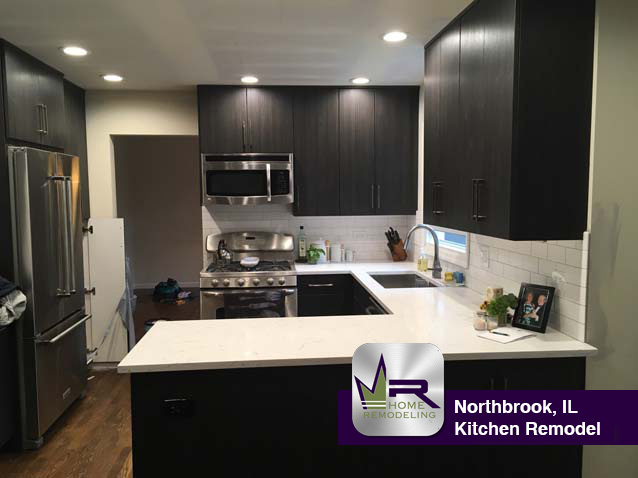 Just to name a few great aspects of this village, Northbrook offers a wide variety of different businesses, popular restaurants, and top-rated schools. Restaurants include, House 406, Morton’s The Steakhouse, Francesco’s Hole In The Wall, J Alexander’s, Di Pescara, Max & Benny’s, and many, many more. 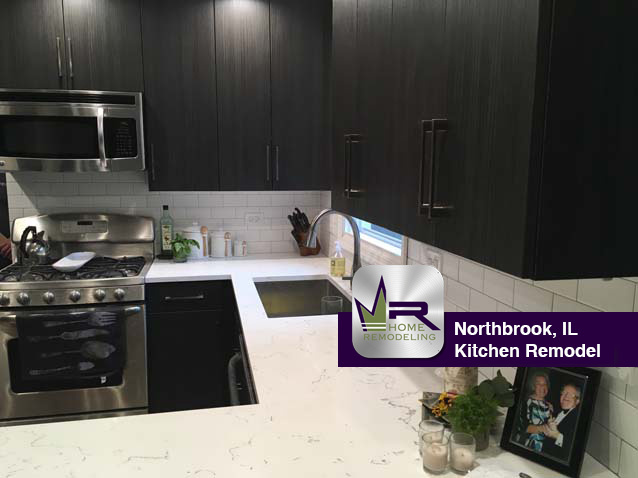 There is also plenty of great shopping offered in Northbrook, especially at the Northbrook Court Mall. Here you can find department stores such Neiman Marcus, Macy’s and Lord & Taylor and high end stores like Burberry, Tumi, Louis Vuitton, and Stuart Weitzman. With that, it is very accessible to get wherever else you need to go via Metra, I-291, I-94, and if you need to get to the airport, O’Hare International Airport is only 17 miles away. Northbrook is a lovely town. 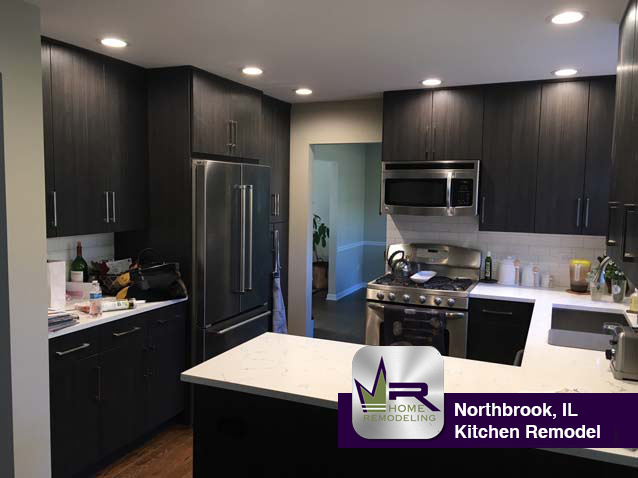 Whether you call it home or you just like to visit, you know the charm and beauty of Northbrook. 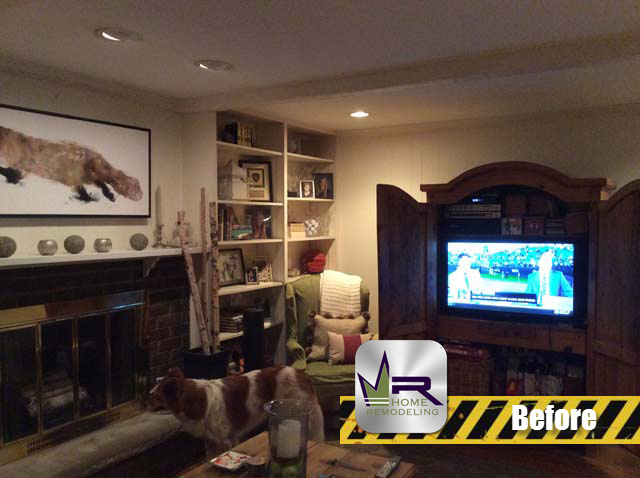 The owners of this house were ready for a change. 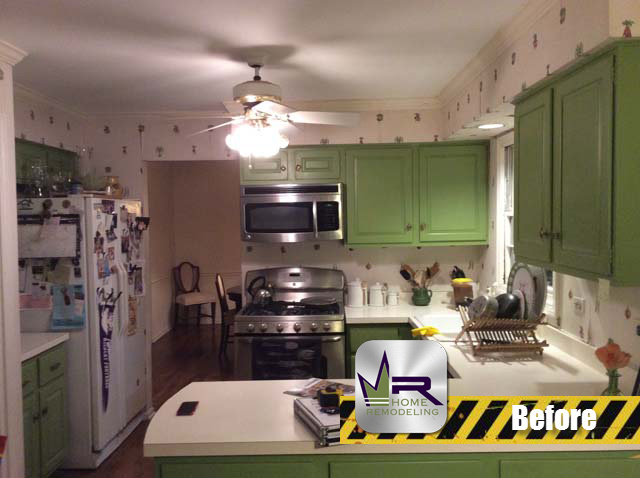 Their kitchen and living room were both outdated with the color scheme as well as appliances and cabinetry. 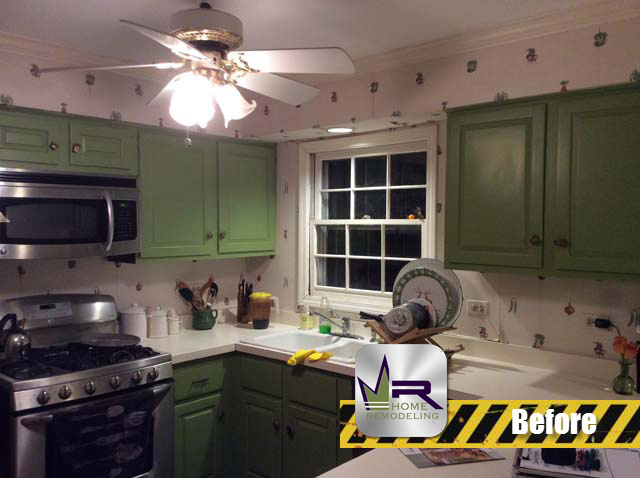 Prior to the renovation, you could find green cabinets in the kitchen, wallpaper from years ago, and lighting coming from only the ceiling fan. 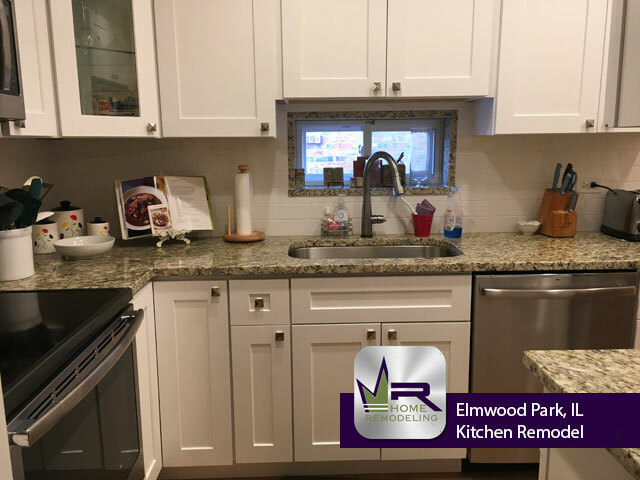 The customers were interested in keeping the same kitchen layout, but making it look brand new with new countertops, cabinets, and a new refrigerator..just to name a few. This kitchen looks phenomenal. 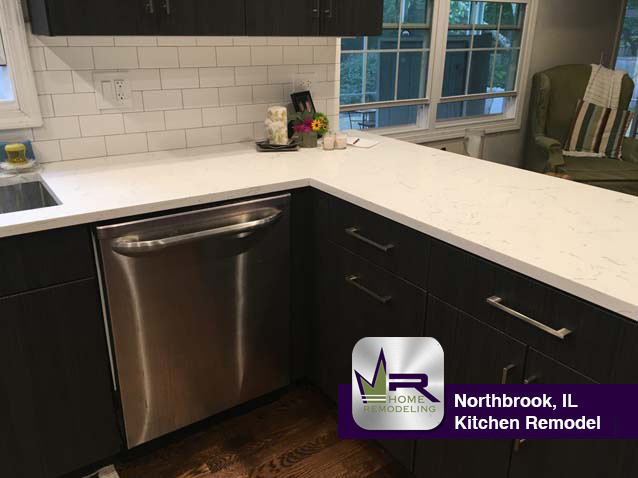 These dated green cabinets were replaced with a more up to date dark style from RSI Cabinets while the plain white countertops were replaced with a quartz from Daltile . 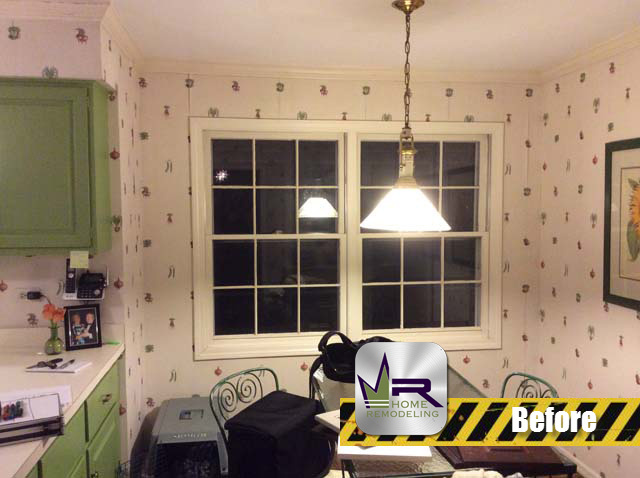 Additionally, Regency replaced the lighting with brand new can lights in the ceiling throughout the kitchen and living room. 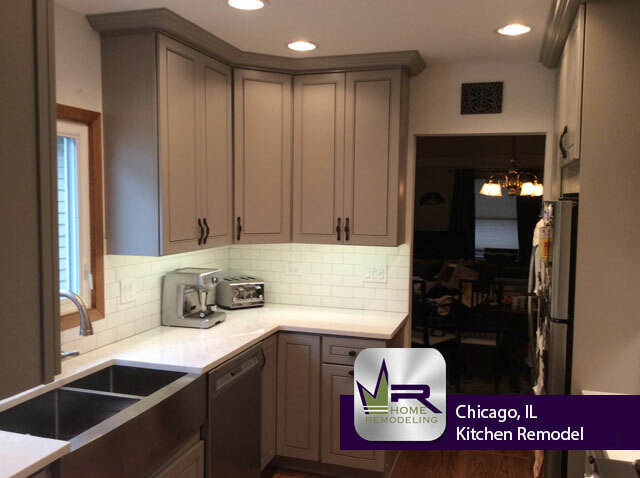 The wallpaper was torn down and the walls were painted a light, neutral color with a matte arctic white backsplash behind the stove and sink. 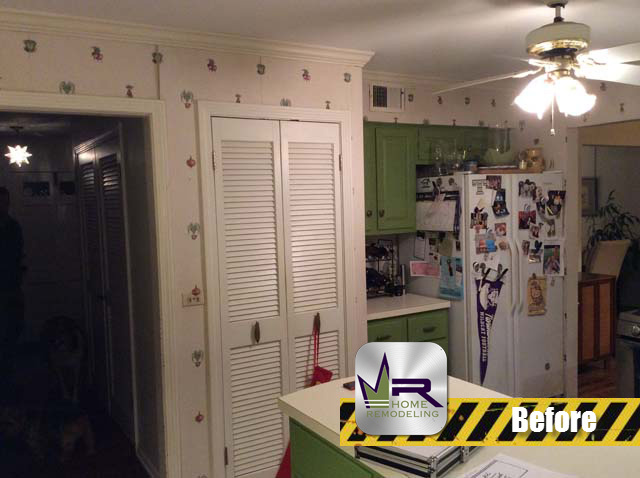 A stainless steel refrigerator was also installed to match the oven, microwave, and the rest of the kitchen. 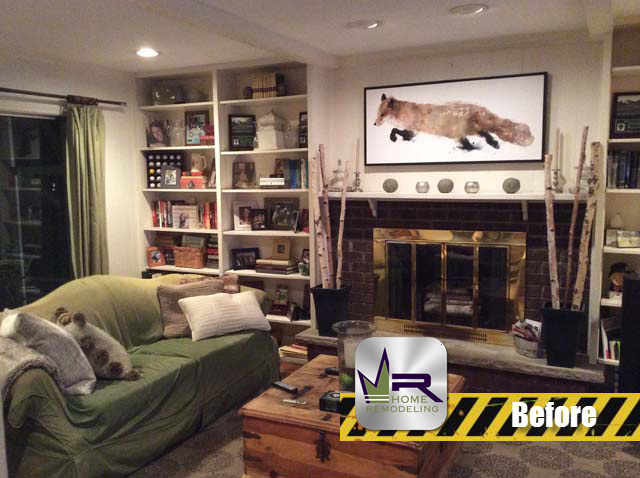 In the living room, we updated the fireplace by demolishing the old brick and installing black mist quartz from Daltile. 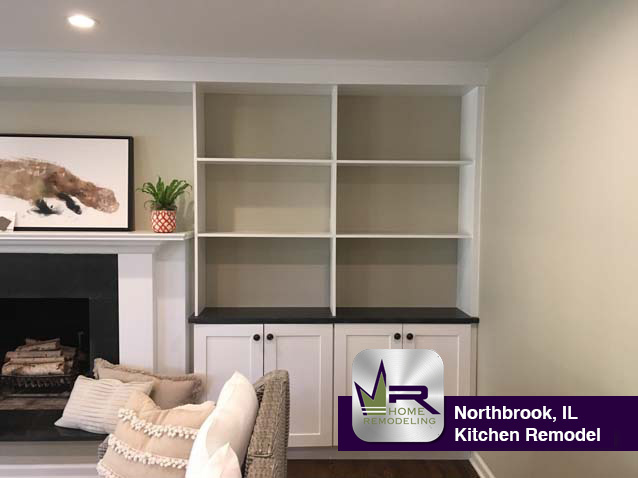 We also installed white shaker cabinets to match the fireplace and rest of the home. 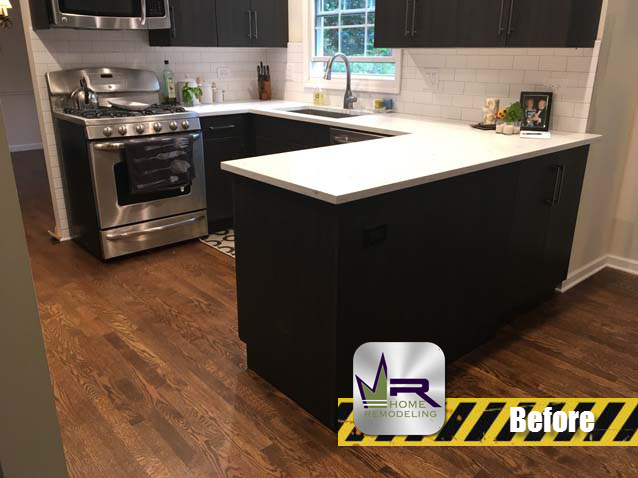 Overall, this renovation was a huge success. 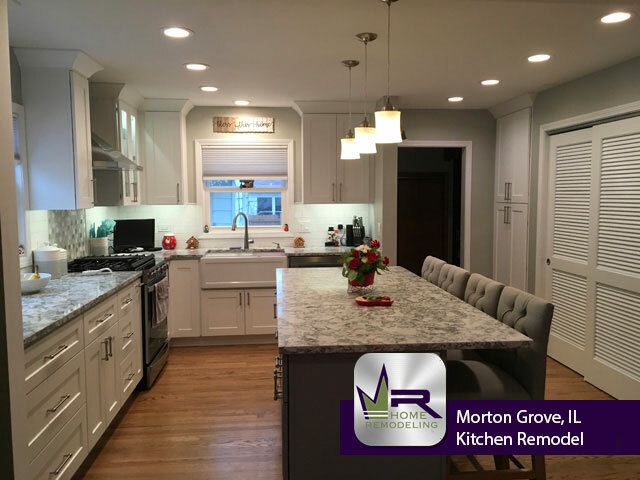 Our customers were thrilled to see how their home was transformed and cannot wait to host their friends and family in their brand new kitchen. 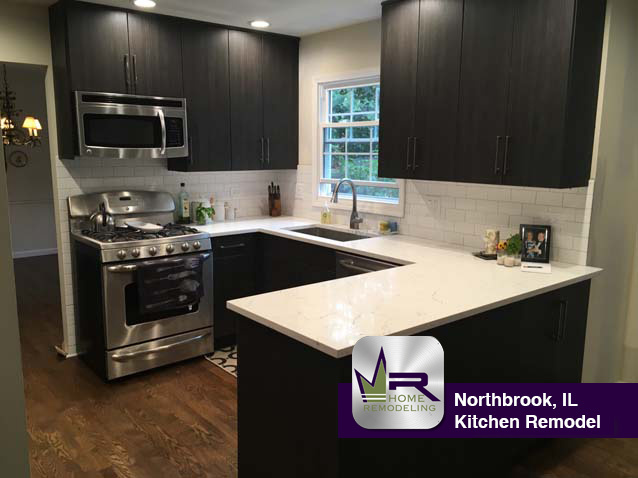 If you want a kitchen remodel in Northbrook, IL call the experts in home improvement, Regency Home Remodeling, at 1(773) 930-4465.